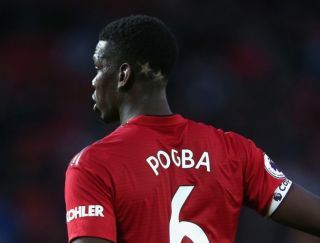 Manchester United midfielder Paul Pogba has once again addressed speculation over his future with rumours continuing to link him with Barcelona. The 25-year-old seemingly sparked doubts over his future with comments made last month, as per The Guardian, as he suggested that he wasn’t entirely happy at Man Utd. It comes amid ongoing suggestions from the media at large that things aren’t ideal between him and Jose Mourinho, and of course United’s poor start to the new Premier League campaign arguably hasn’t made things any easier. As noted by The Express this past weekend, speculation continues to also link the World Cup winner with a move to join Barcelona, and he has now openly responded to that and discussed his future at Old Trafford as well as his relationship with Mourinho. “To speak about a transfer… I am under contract,” he told Telefoot, as seen in the tweet below. “There have always been little things with the coach, our relationship is still the same, manager-player. In truth, that isn’t a complete denial to ease any fears that Man Utd fans may have that Pogba could be ready to leave the club in the near future if an agreement is reached. The Frenchman could have easily put the entire matter to bed by insisting that he was happy at United and isn’t interested in a move elsewhere, but instead, he continues to refer back to being under contract and doesn’t sound exactly thrilled that he’s still in Manchester.